You guys! 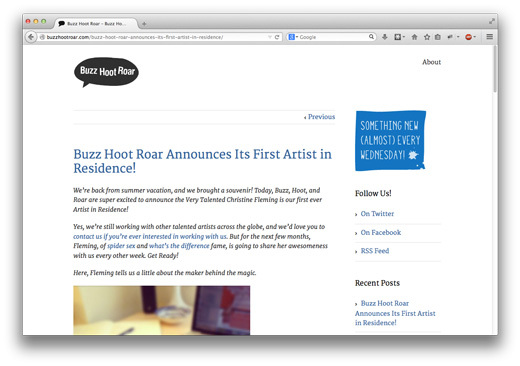 I’m so thrilled to announce that I am now the Artist in Residence at BuzzHootRoar! BuzzHootRoar is a team of scientists who run a “graphics-driven blog that shares and explains a scientific concept in 300 words or less.” You can see their announcement of my residency and a quick interview with me on their website here. As the Artist in Residence, I will be working with the team more consistently, creating an illustrated series with them every other week. 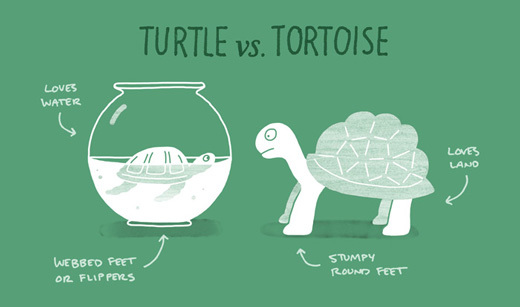 I love working with BuzzHootRoar because I get to learn about such interesting and weird things in nature, and then come up with a way to visually explain it! I’m so excited to have this opportunity, and can’t wait to learn lots of weird things and churn out a lot of great work! 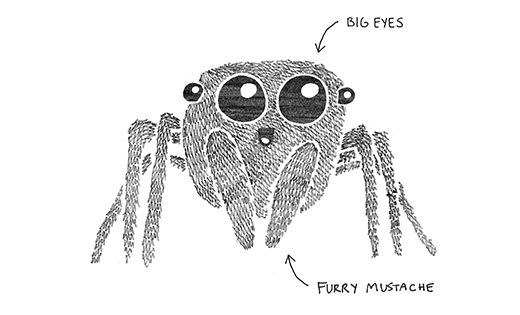 Your illustrations are adorable and so are you! 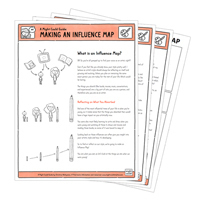 Read about you in the Houston SCBWI newsletter. 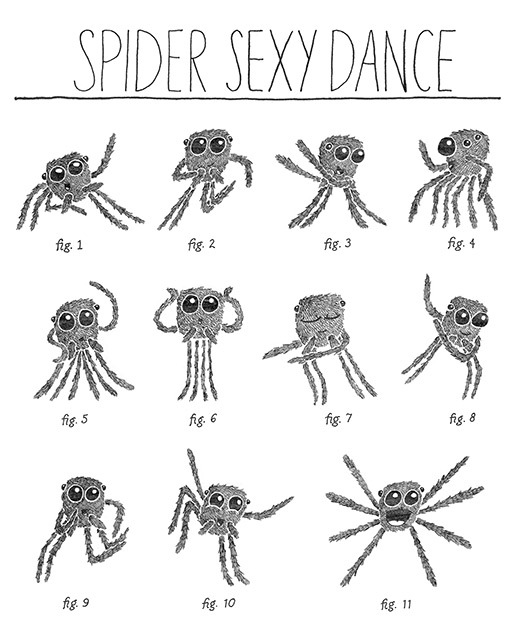 Love the breezy sneeze and spider dance…very clever. Would love you illustrating one of my books!